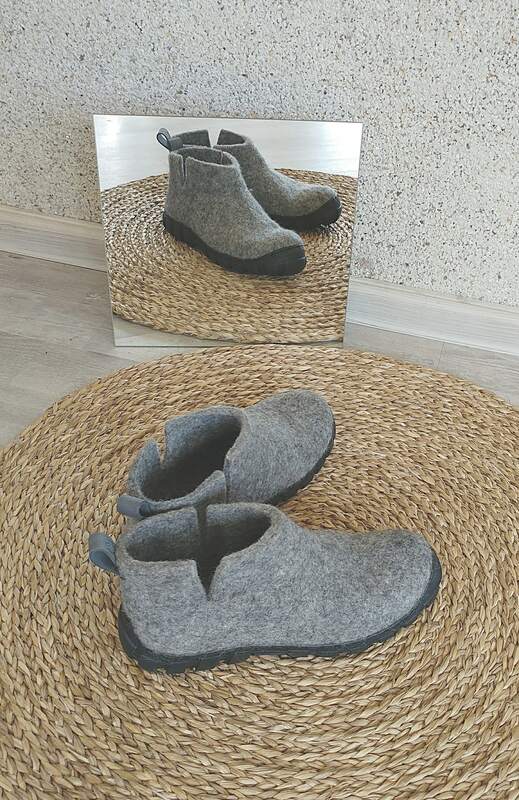 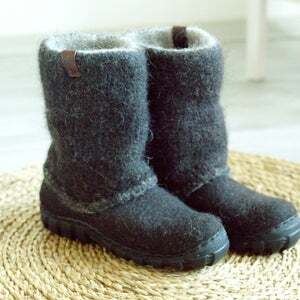 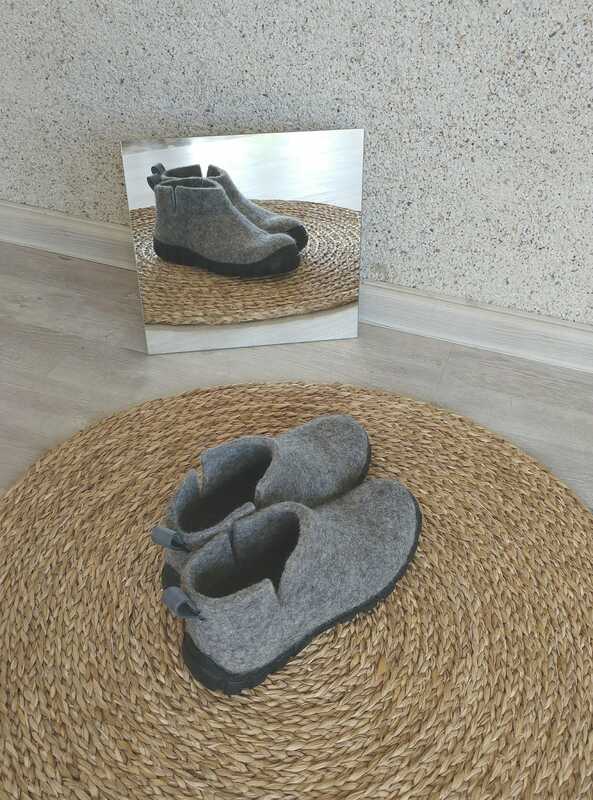 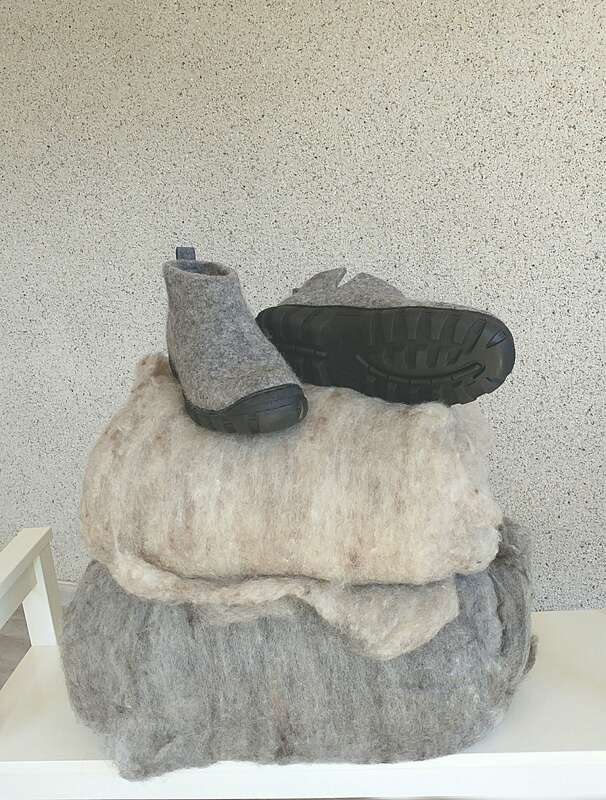 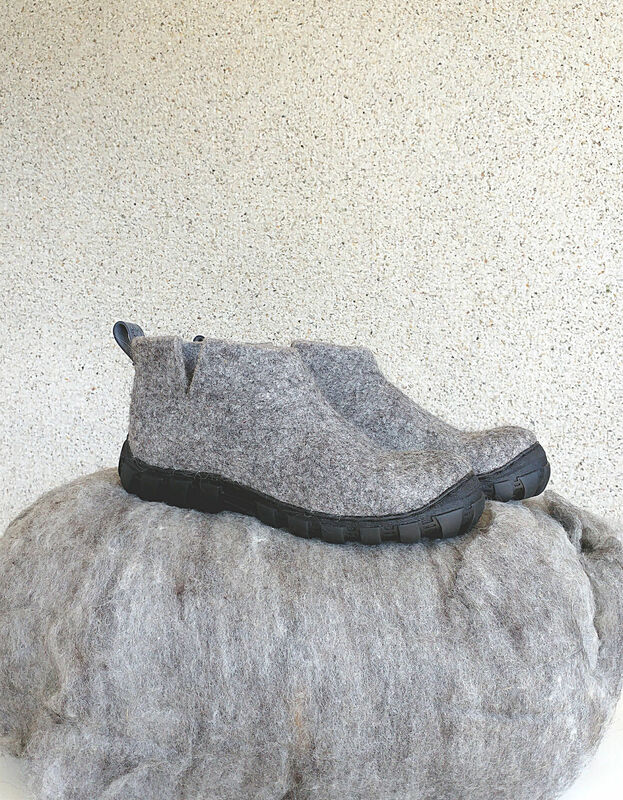 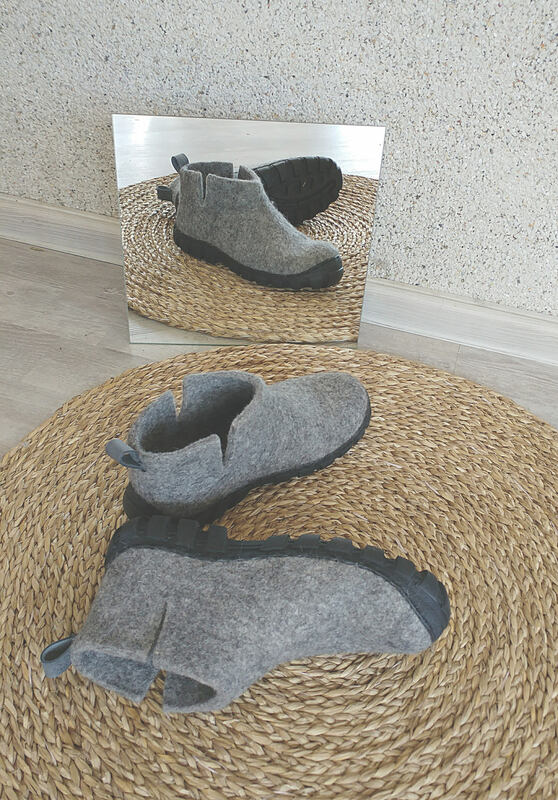 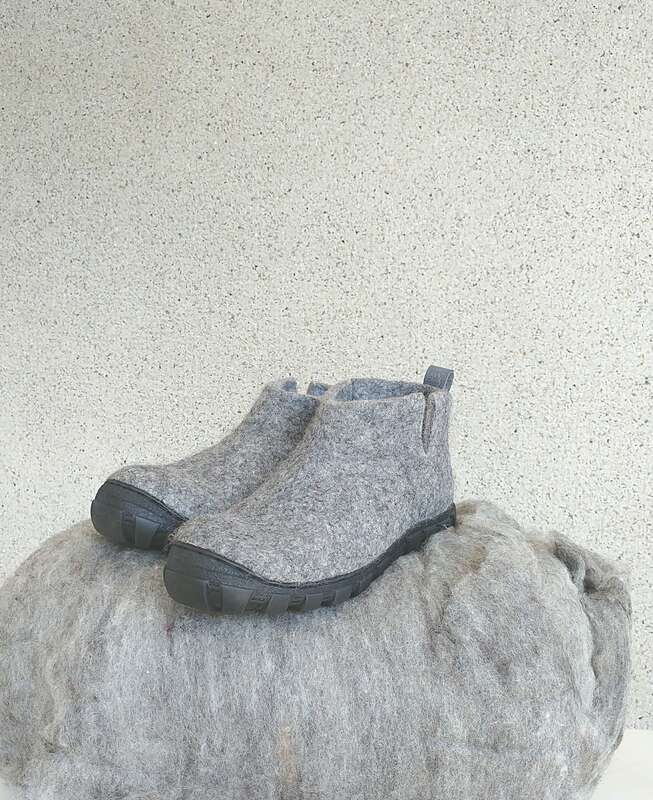 Felt wool short ankle boots in natural gray wool or another natural wool colour of your choice are made from organic undyed not chemically treated wool. 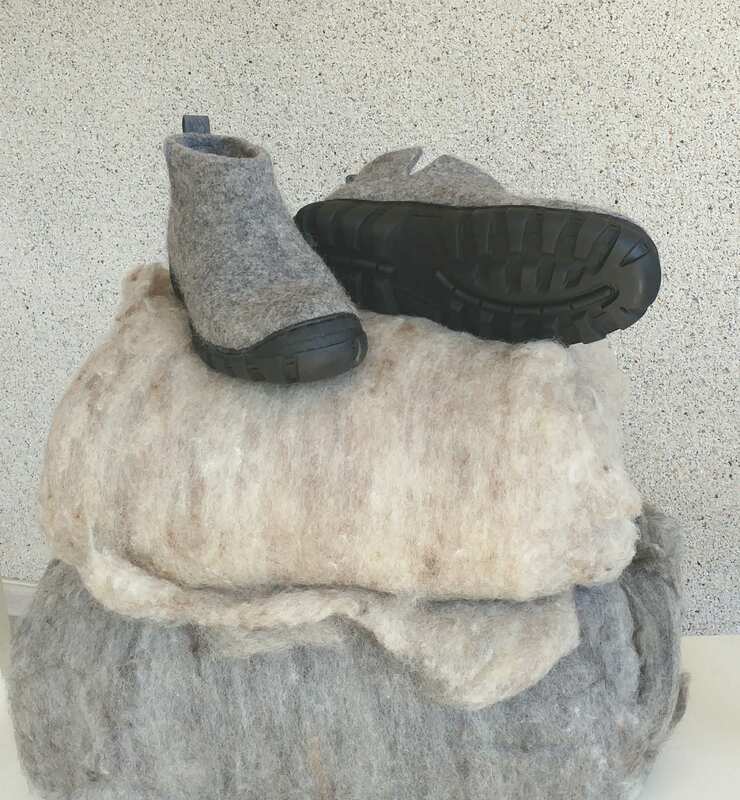 Flat bottom shoes are felted using wet felt technology – only olive oil soap and hot water is used in the process. 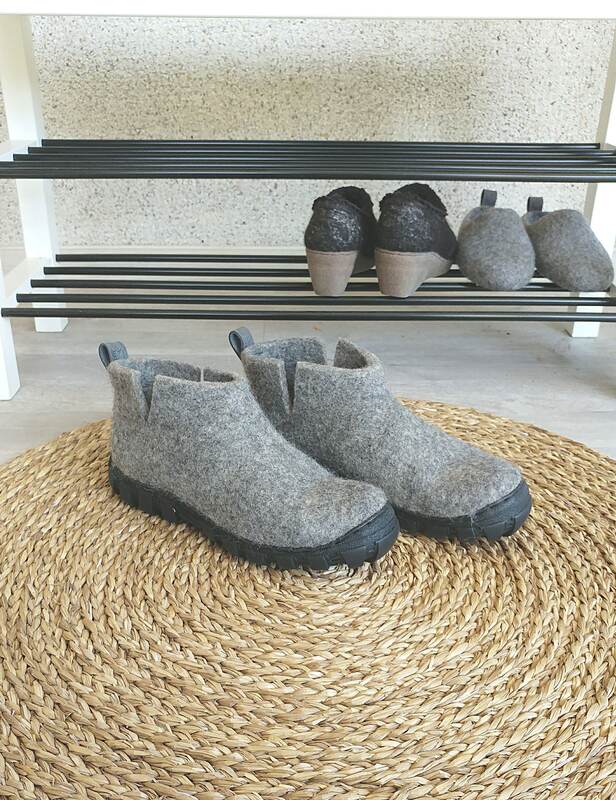 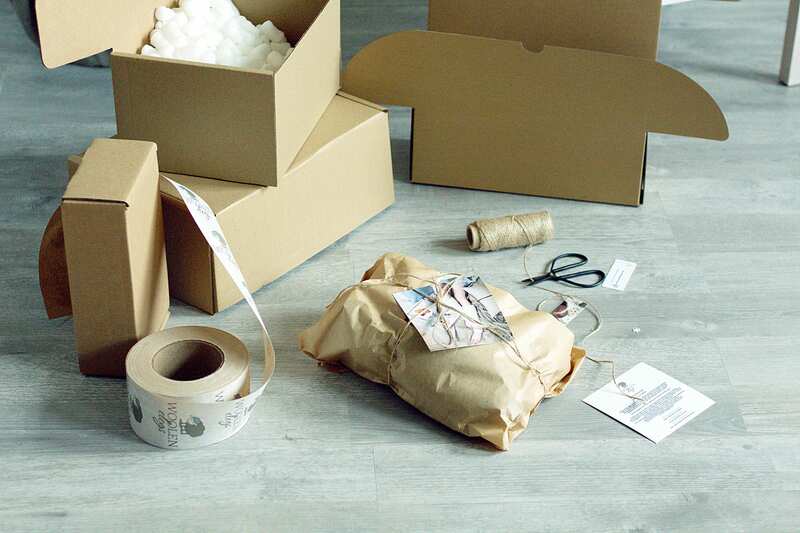 Durable and rugged rubber soles are attached securely without using toxic glue and stitched for additional longevity. 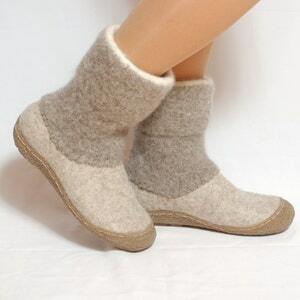 Perfect for a long walk in the snow or a comfortable day in town.